One of the most obvious advantages of having interior double French doors in any home is the fact that they will significantly improve the aesthetics of the room. Highly remarked for their beauty, internal French doors can be both functional as well as ornamental. Although French doors are usually installed externally at the front, back or as patio doors, they are also ideal for use in the interior of your home. These doors may also be chosen in order to suit your furnishing and make a statement of luxury in the rooms. A perfect addition to any house would be French doors with sidelights. These may be installed between your formal dining room and kitchen, or master bedroom and master bath, as well as for the aperture to the den or home office area. Most of these double doors with side panels are manufactured from light wood with glass panels and can be ordered as pre-hung door set for hassle-free installation. For something a bit more decorative, opt for decorative panels with grooves or made from exclusive veneers that can easily integrate any glazing that allow the light to penetrate through. Because of the versatility of interior double French doors, going for this look can significantly improve any section of your home by giving it a very rich and luxurious look. 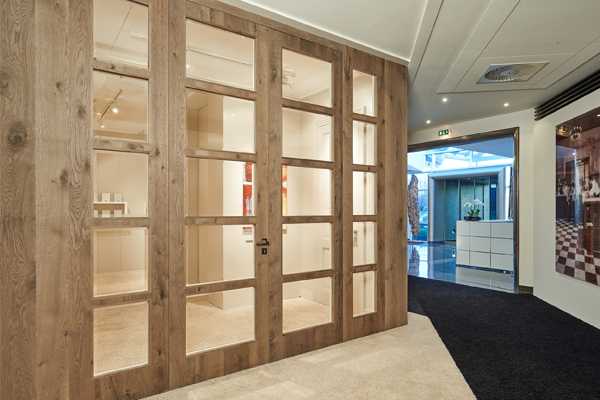 The wooden bifold doors offer a fully retractable system which can be manufactured as wide as the customer needs, within some technical boundaries. A Bifold door is not only regular panels put together; it is a whole system where design, engineering accuracy and choice of hardware plays an essential in the door's looks and performance just as much as the bifold door fitting does. For the German factory not only the design and looks of the panels are important. The essential point is the hardware used to ensure the functionality and a life lasting product manufactured especially for our customers. To put together a bifold system, the engineers choose to use high-end TECTUS hidden hinges with a load capacity of 80Kg and a sliding system that ensures a smooth closing and opening process. For an exclusive and luxurious look, wooden bifold doors supplied by Doors4UK are top hung so the full opening can be used without the impediment of a threshold which can collect dust and damage the flooring and in the end can create problems in the sliding process. 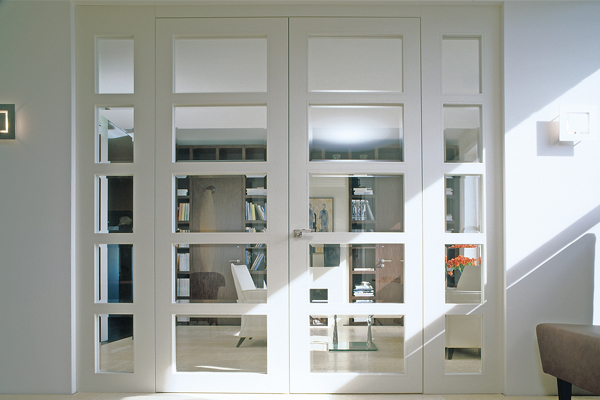 Internal pocket doors are the best solution when it comes to small areas that require privacy. Thus, they are suitable for small apartments, studio flats, as well as for wardrobes or closets. These internal doors can suit any room in your home, even a bedroom because they can offer besides the possibility of an open space also the privacy required for such rooms. Moreover, the door opens and closes almost silently, which makes it easy to use. They have also a soft closer to prevent the door from slamming when it is opened or closed on a hurry. 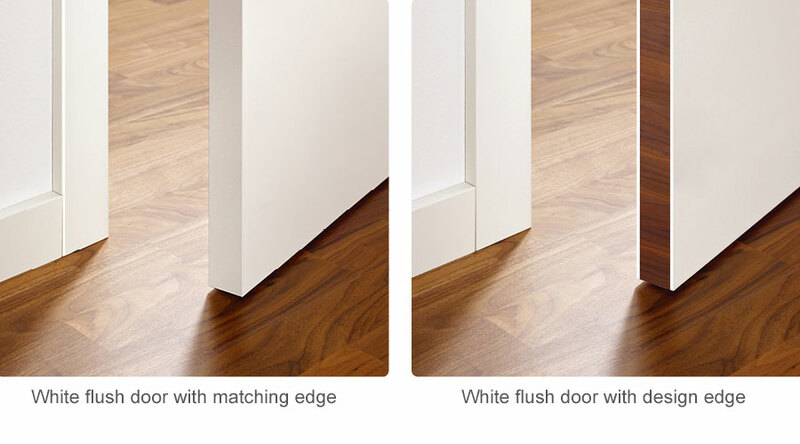 Depending on your preferences, there is many functionalities and design that Doors4UK offers regarding a pocket door, such as complete veneer walls or double pocket door with panels. 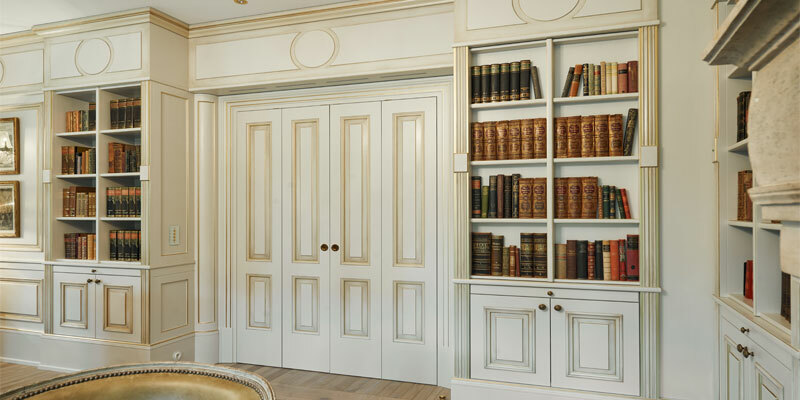 At the same time, the finish selected for your doors is important, as it has to match the furniture and the interior decorations of your home, from lighter to darker shades. 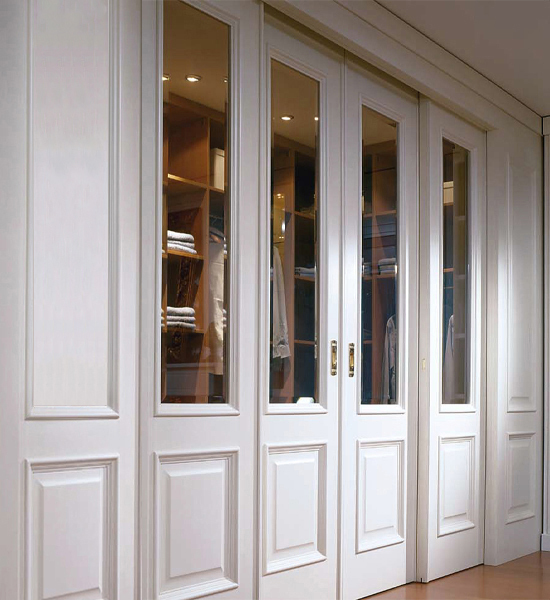 Internal pocket doors are solid, durable and they are very efficient, especially for cramped spaces. Luxury often provides stunning delight and comfort and in this way becomes a requirement for magnificent living. 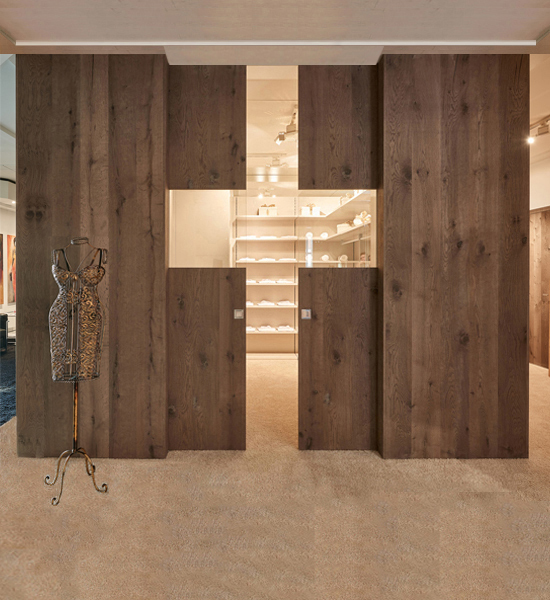 Luxurious wall partition can, even if only momentarily, complete your surroundings and make them more meaningful. These modern room dividers can easily integrate custom made doors that will fit perfectly in the environment. Our company can offer complete wall dividers with matching doors of made to measure sizes that can bring to life your dream of having a perfect room. Lately, not only living and dining rooms are valorized, but also the personal offices are brought to life with contemporary interior design ideas. A luxury office is not only about lights, windows, and top-of-the-range equipment, but also about a room divider wall that can reflect the company image and its successful makers. Bring your interior design ideas to us and we will make them possible. 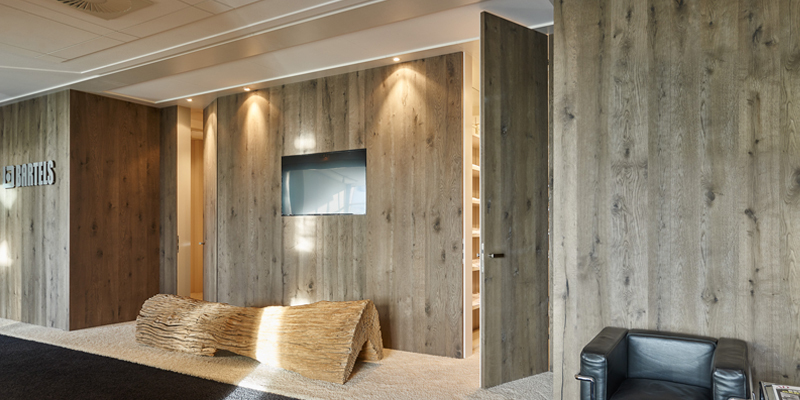 A luxurious wall partition is perfect for small-scale apartments, as well as for open-space living rooms. With this complete wall, we would like to offer an idea for a luxury living room to your imagination. Internal room divider doors without frames or visible hardware that are integrated into a luxurious wall partition with the same finish offer a minimalist décor that will inspire you to renovate or design your living space.